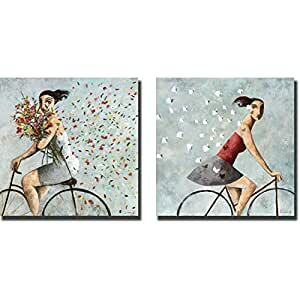 Petals and Follow Me 2-pc custom Gallery-Wrapped Canvas Giclee Set adds atmosphere to any Home or Office. Created with artist’s publisher high-resolution images for ultimate clarity and color accuracy. Looking for a different size? Just send us a request so we may quickly add it to our selection.